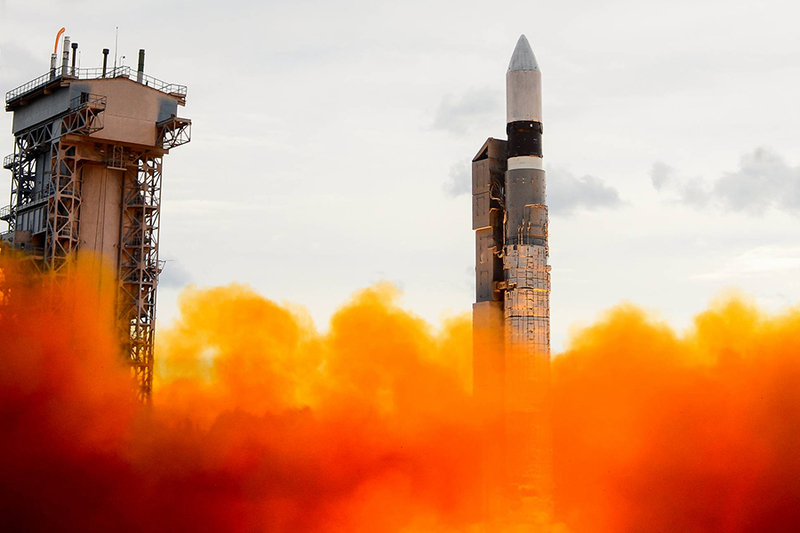 Eurockot Launch Services GmbH, the company that fields the Rokot is a joint venture between the ArianeGroup and Khrunichev Space Center and is based out of Bremen, Germany. Rokot is capable of launching a payload that weighs about 4,299 lbs (1,950 kilograms) into an orbit of about 124 miles (200 kilometers) with an inclination of about 63° and is based off of the UR-100N (SS-19 Stiletto). Rokot (also referred to as Rockot) began its commercial service on December 26, 1994 from the Baikonur Cosmodrone in Kazakhstan. Owing perhaps to its ancestry, the launch vehicle initially took to the skies from silos. However, Rokot operations moved from Baikonur to Plesetsk and from silos to launch pads. Each Rokot stands approximately 95 feet (29 meters) in height and it has a diameter of about eight feet (2.5 feet). The booster burns a mixture of unsymmetrical dimethylhydrazine with dinitrogen tetroxide serving as the oxidizer. The payload for this mission were the Kosmos 2530, 2531 and 2532 satellites. With this successful flight, Rokot has flown 30 successful mission and another that was deemed a partial failure.